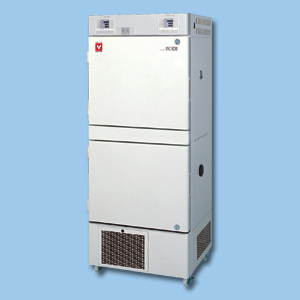 The upper chamber isafixedoperation type incubator with a timer operation functionandanoverheat preventive device while the lower chamber isalowtemperature incubator that allows registering six programsfrom30steps to 10 steps. 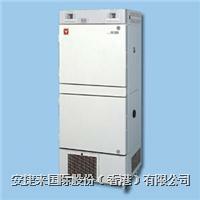 The cycle defrost functionandthemanual defrost function on the lower chamberallowseasydefrosting. The productfacilitatesextensivesafety functions including: self diagnosticfunction, keylockfunction, over current electric leakage breaker,and overheatpreventive device. Both upper and lower chambershaveadoor key. *1Condition: Temperature and humidity 23 deg.C+/-5deg.C;65%RH+/-20%(no-load). Note: Shelvesandshelfpegs differ in sizes for the upperandlowerchambers.